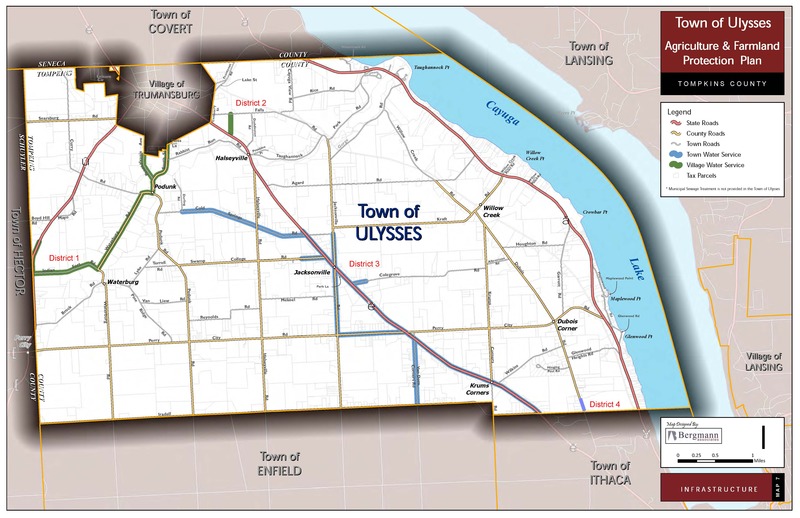 Ulysses has four water districts which provide municipal water to 203 residents within the Town’s boundaries. Following the creation of Districts 3 and 4 and the adoption of the Town of Ulysses Public Water Law, the Town Board recognized the need to have a Water Districts’ Resident Advisory Committee. The Advisory Committee meets when issues are brought before them by District residents. Meeting minutes are also available for public review at the Town Hall.